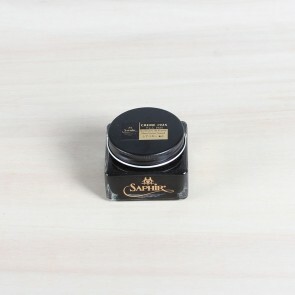 Saphir Médaille d'Or Pate de Luxe Wax, 100ml. This luxurious shoe wax is 100% natural and contains several different types of wax, such as from animals, plants and minerals. Every type has it's own characteristics, among them gloss, nourishing, softening, protection and scent. 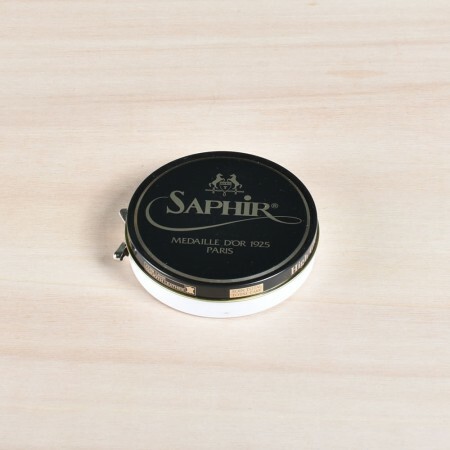 The wax is specially developed to give a top-notch polish to your leather shoes. Pate de Luxe is based on Pinetree turpentine and carnauba wax (which comes from the leaves of a Brazilian palm tree). Because of its 100% natural formula, the difference with other shoe waxes is almost directly visible. 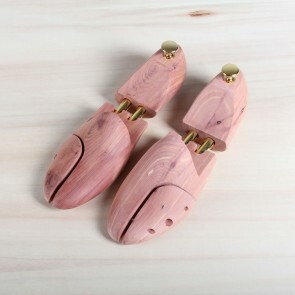 Apply a little wax to a cotton cloth and gently massage it into the leather, for example, the nose of your shoes. 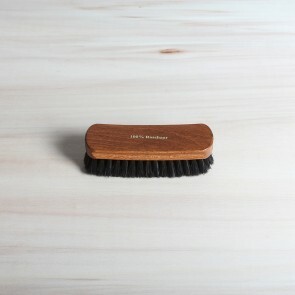 Brush out gently or shine with a soft cotton cloth to create a beautiful shine. 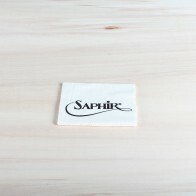 To get the perfect mirror shine, combine Saphir Pate de Luxe with Saphir Mirror Gloss. After multiple layers, a bright shine will arise and the leather will look mirror-like! 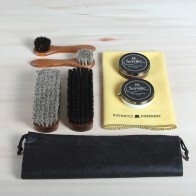 Before applying these products we advise you to treat your shoes with Lotion or Renovateur and Pommadier. 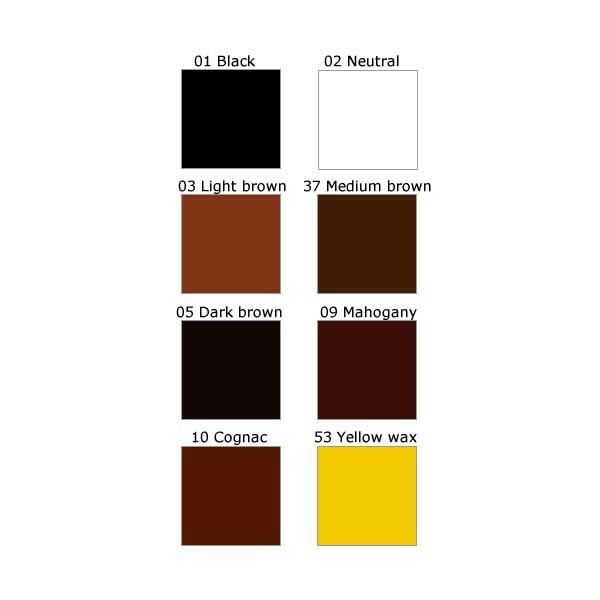 The wax is available in multiple colours, so you can keep every pair up to date! 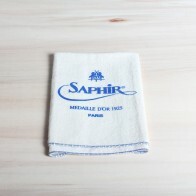 Click here for the Saphir Médaille d'Or colour charts.